Dating all the way back to 1909, Wisconsin Motors has earned a reputation for quality and efficiency with their catalytic converters. This brand is one of many varieties of catalytic converters, exhaust particulate filters, and other essential diesel engine parts that you can find at Catalytic Exhaust Products. As with other catalytic converters for sale through Catalytic Exhaust, Wisconsin provides products that are durable and which conform to all modern emissions regulations when used with the right exhaust particulate filter. Any engine produces some degree of harmful emissions. In diesel engines, the number of pollutants released into the air gets even higher due to the chemical makeup of the gas. 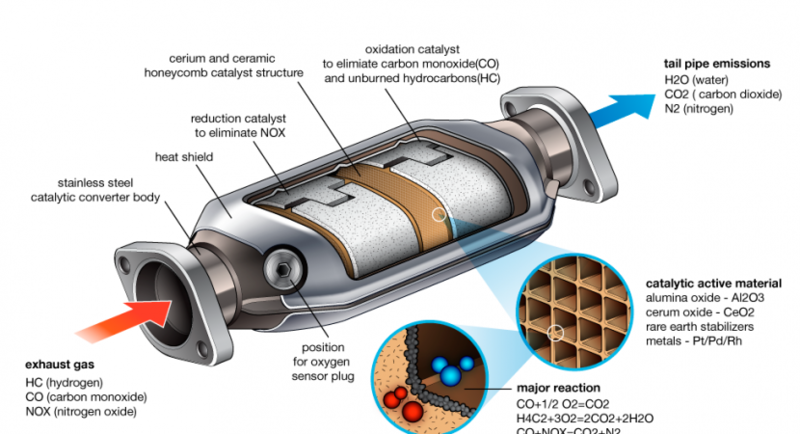 Because of this, every engine needs a catalytic converter to filter out those harmful emissions. A good catalytic converter helps to guarantee that users of a particular vehicle or tool don’t inhale harmful vapors such as carbon monoxide, nitrogen oxide, or various hydrocarbons. As the world has learned more about the effects of air quality on climate change, stronger emissions standards have become even more important. A Wisconsin catalytic converter meets all current emissions standards, allowing your diesel engine to run as cleanly as possible. Exhaust particulate filters are important elements within catalytic converters that remove small solid pieces of toxic matter from the exhaust produced by a diesel engine. A particulate filter helps to improve the fuel economy of the engine, keep the catalytic converter running at peak efficiency, and extend the life of the engine. Even though a Wisconsin catalytic converter is one of the most efficient catalytic converters you can buy, you still need to pay attention to the particulate filter to ensure proper continued function. From time to time you may need to replace the diesel particulate filter, at which point turning to the wide selection available at Catalytic Exhaust Products is an excellent choice. Aside from buying the highest quality parts and ensuring that you regularly maintain the diesel particulate filter, there are a few other choices you can make to extend the life of your catalytic converter. This includes making sure that you seal any leaks with a sealant that doesn’t burn or melt at the internal temperature your engine runs at. Avoiding the use of silicone on the exhaust side of the engine can help with that issue. You should also keep your engine’s overall health in mind, avoiding overtaxing it and giving it occasional time to cool off between jobs. The better you maintain your engine, the longer the parts inside will last. The Wisconsin brand is a strong one, and anybody considering a new catalytic converter for their diesel engine should keep these products in mind. Furthermore, when you look for a new catalytic converter or diesel particulate filter, make sure to keep Catalytic Exhaust Products in mind, as they have a terrific selection and a long history of providing high-quality parts and services for all engines.